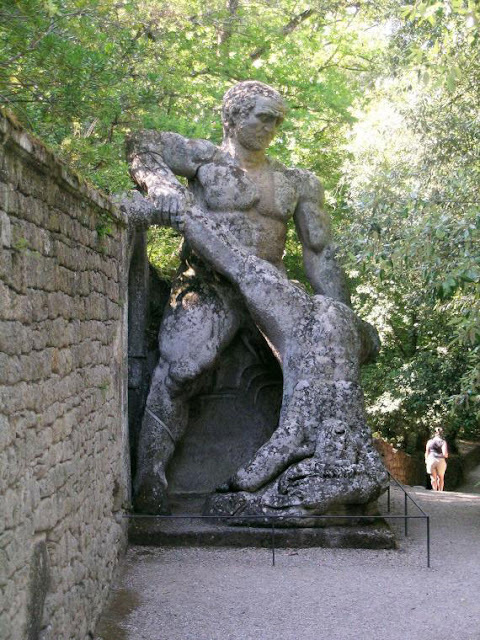 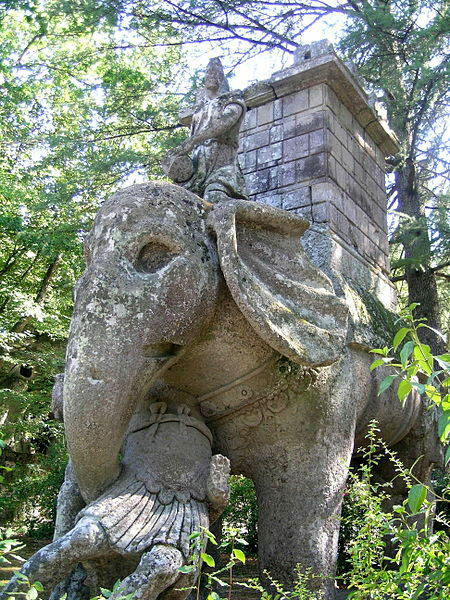 A park in Italy with larger than life sculptures. 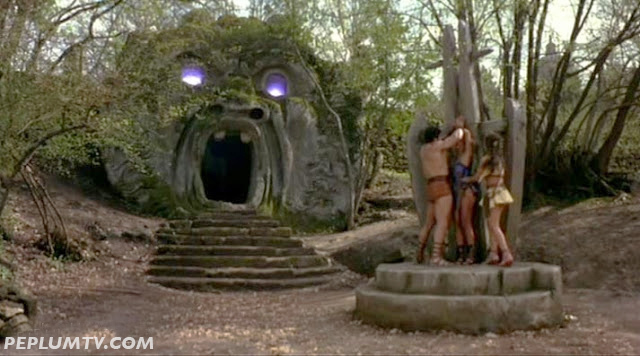 The location was sometimes used in PEPLUM films, like THE ADVENTURES OF HERCULES (last photo). 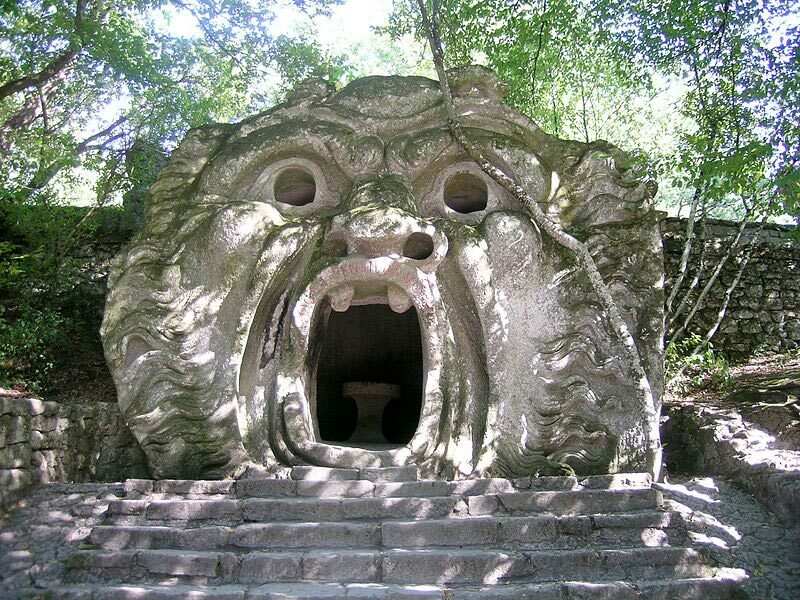 Looks like a cool place.